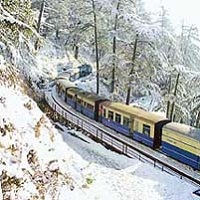 Being one of the reputed Tour Operators in Port Blair (Andaman & Nicobar Islands, India), Andaman Swagat offers remarkably cost-effective Railway Ticketing Services to our clients. In the peak seasons it is very difficult to get the tickets in time as most of the trains run over booked. We help you in getting the tickets booked in time as per your requirement and budget. Now you do not have to stand in long queues and run around to get your reservations done. We also provide information related to trains such as train type, schedule, food, etc. for your convenience. We provide you with the tickets in time and according to your travel plan.